You raise so many very important questions. We Jews are described as being captives of hope, but sometimes that hope is very difficult to find. I can’t respond to you in any formal or official fashion. I am not a social scientist, I am not a talking head or a political columnist. I am just a Jew, a liberal Jew, a political activist, someone who cares passionately not only about Israel’s survival but about the quality of the Israel that will survive. My biggest source of hope is in the area now being called “the day after.” The cease-fire is in effect, negotiations are beginning in Cairo, and there is little to no likelihood that the situation will return to the status quote ante. The +80% support for Bibi’s handling of the war will now begin to erode in the aftermath of that war. That is only natural. The right wing will demand answers as to why Bibi did not complete the process of totally annihilating Hamas. The left wing will resume its criticism that much of what led to the current war could have been avoided if there had been a cessation of the building of settlements and a willingness on the part of the government to treat Abbas as a real negotiating partner. Rivlin’s role in all of this will be absolutely unimportant. Peres still has far greater impact on the Israeli political scene and on the international political scene than Israel’s new president. Bibi will be confronting an increasingly fractured coalition. He knows that from Bennett to Danon to Lieberman, the challenges to his leadership will be rapidly increasing. Bibi is an historian, and he certainly realizes that he has a long way to go to guarantee his own positive slot in the history of the Jewish people. Will the prime minister use the opportunity to shake up his coalition, to bring Labor into the government and thus strengthen the power of the Center? The answers are not written in stone, and therein lies my hope. Those of us living in North America have to do more then worry and kvetch and criticize. We have to be involved in creating coalitions of strength and of influence that can mobilize the power of the North American Jewish community to influence the shaping of political realities in Israel. We have to be willing to express our profound concern over the building of settlements and the lack of engagement with Abbas and his government. We have to be willing to express our profound concern over the lack of Jewish religious freedom, of true democratic pluralism, within the Jewish state. The changes that must come within Israel’s foreign policy must be paralleled by changes within the Israeli society. And all of those long-overdue changes will only come about with the strong, positive support of the North American Jewish community. Far too often, the liberal wing in North America has held itself off from what it considers to be “inappropriate involvement” in the shaping of Israeli society. We have to get over that hesitation. There are signs that such strong, positive support may in fact be consolidating. Each of us must take up the responsibility of personal involvement in that consolidation. We have no control over what the responses will be, in the foreign policy arena, from the other side. We can only be certain of one fact: the status quo cannot be maintained. And we can be very certain that there are elements within Israeli society that are more than willing to take to the streets in a violent response against any and all efforts to bring true democratic religious freedom to Israel. The risks in all of this are monumental. If we do not handle our relationships in the foreign-policy arena well, Israel could be exposed to immediate existential threat. If we do not handle the reshaping of Israeli society carefully, we could lose Israel as a 21st-century democratic country. But if we fail to take those risks, the even greater risk is the collapse of the Zionist enterprise. The battlegrounds for North America Jewry will be found in the meeting rooms of all elements of the Jewish Federations of North America, in the American Jewish Committee, in Hiddush, in the URJ, in ARZA, and in other like-minded organizations. Coalitions need to be formed. Activists need to sit together. And hope must be embraced. In any event, just one person’s opinion. Rabbi Stanley Davids serves as the president of ARZENU. He currently resides in Israel with his wife Resa. I recently attended a demonstration of the “Light Tag” coalition, in front of Prime Minister Netanyahu’s residence. We were about 500, with many familiar faces, especially from the Reform and Conservative movements (though the outstanding speaker was an Orthodox rabbi, Benjamin Lau). “Light Tag” (tag me’ir) is a pun on the name of the phenomenon it opposes: “Price Tag” (tag mechir ) – the name given to the recent spate of Jewish hate crimes. It seems that some of the more extreme elements of the settler youth – and supporters and copy-cats from elsewhere – have taken it upon themselves to exact a “price” for the government’s conciliatory (?) moves toward the Palestinians, by torching mosques, vandalizing churches, spitting on priests on the street, violent attacks against random Arabs, puncturing Arabs’ tires, etc., throughout Israel. There have been proposals (by the minister of police) to label these activists as “terrorists,” which would give the police additional tools to deal with them. But such a decision keeps getting put off. It is interesting, as many speakers pointed out at the demonstration, that the security services, who can find and detain every 11-year old Arab kid who ever throws a stone, seem helpless against this current “plague.” It is hard to avoid the feeling that there are leaders in the political and religious spheres – and lots of people on the street – who don’t see these actions as such a big deal, or who even sympathize with them. When popular author Amos Oz recently called the perpetrators “Jewish neo-nazis,” he aroused a public outcry on the left as well as the right. Many of us in the liberal wing of Judaism are wont to declare that a Jewish state needs to be a state that exemplifies Jewish values. In this respect we are like the nationalist Orthodox school, who argue that normalization is not our ideal: our destiny is not to be just like everyone else, but to be exceptional, to be a state that implements the values of the Torah in real life. The problem is, of course, that we have not achieved consensus on just what “Jewish values” are, and on who gets to decide. In recent years a number of publications by nationalist Orthodox rabbis have gotten a lot of attention – bringing proof from traditional sources to support discrimination and violence against non-Jews. When we liberals object, they tell us that “the halachah is not pretty,” and that we are distorting Judaism to fit our western liberal values; then we bring our proof-texts to show that theirview is a distortion of Judaism. If we didn’t have a Jewish state with an army and a police force, this could be a philosophical discussion, as it was for centuries. We could happily be pluralists and agree to disagree. However, in our time, we cannot escape the challenge of having to implement our values, using real power in a real state. So we cannot really afford to be pluralists about our beliefs in this sphere. It seems we’re in a culture war, similar to the one in Jeremiah’s day. That time the good guys lost, and we are still mourning the outcome. Rabbi Marc J. Rosenstein is the retired director of the Galilee Foundation for Value Education and the current director of the Israel Rabbinical Program at Hebrew Union College in Jerusalem. This conversation is critically important. We invite all who are interested to join in either in the comments or in our Facebook group. Clearly, Dan Ross and I agree on the affirmatives: We love Israel, and we want to see it succeed as a “country of lofty ideals.” Even more than that, we probably share a sense of what those ideals look like, and I applaud him for his forward gaze. It appears, additionally, that we agree that our Western interlocutors, as defined by Ross, do not go out of their way to question Israel’s right to exist. But here’s where I think we disagree: the West’s acceptance of Israel as a Jewish state—not Netanyahu’s call for a diplomatic formulation as such but, more generally, the concept itself. To be sure, the institutions of Israel’s statehood are firmly in place, and the West generally accepts that fact. And I am not an alarmist about the threats to Israel’s existence. But I’m not at all sure that Europeans, just as an example, feel that the Jewish character of the state has any legitimacy, nor that that character is worthy of promotion or defense. Closer to home, the Presbyterian Church recently published the controversial “Zionism Unsettled,” a study-guide and DVD that questions both the current policies of Israel and its Jewish character. More to the point, “Zionism Unsettled” conflates those policies and character as morally and inevitably twinned, and therein lies the difficulty. We progressive Zionists hold that Israel embodies a simultaneously (if imperfectly) Jewish and democratic character, and that destructive or short-sighted policies do not fundamentally belie or de-legitimate it. As such, we struggle against the policies, while we defend the state and its particular character. I believe that, between these two positions, most people outside of the United States follow some variation on “Zionism Unsettled.” That is, they perceive the progressive Zionist position to be either paradoxical or quixotic and, in any case, impossible to uphold. They oppose the same policies that we progressive Zionists oppose. But insofar as they see those policies as a natural outgrowth of Zionism, they point to them as proof of the illegitimacy of Zionism itself. And I believe that a subset of American Jewry is increasingly inclined to agree—passively, superficially or only incipiently—but to agree nonetheless. So, when Ross specifically queries “to whom Dr. Holo believes we should be addressing ‘our Zionist assertions with sufficient confidence, information and conviction,’” I answer, as I had attempted to do in my initial posting: American Jewry. Secondarily, as per this posting, I might also address our Western interlocutors. And here is my message: I am in unqualified agreement with Ross and his call to look to the future. And I want something additional, as well. I want progressive Zionists to re-articulate the Jewish claim to sovereignty, because it’s a compelling argument, and because American Jews may be losing sight of it. And yes, it is fundamentally an historical argument, but without it, Israel as such has no future to aim for. Dr. Holo is the Dean of the Los Angeles Campus and Associate Professor of Jewish History at HUC-JIR/LA. 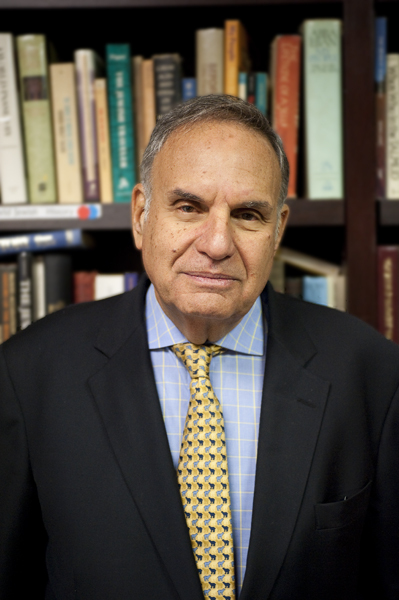 He served as Director of the Louchheim School of Judaic Studies from 2006-2010. Dr. Holo’s publications focus on Medieval Jews of the Mediterranean, particularly in the Christian realm. His book, Byzantine Jewry in the Mediterranean Economy, was published by Cambridge University Press in 2009. There is much being said about the up-coming World Zionist Congress, and why Reform Jews from across the globe should be interested. To address these, we’ve invited a true expert to guide us through the material. Rabbi Ira Youdovin forty years ago headed the team that created ARZA—Association of Reform Zionists of America, served as its first executive director and, together with its president, Rabbi Roland B. Gittelsohn, led Reform Zionism’s first delegation to the World Zionist Congress. When we contacted Rabbi Youdovin he mused that the questions being asked were largely the same he was called upon to answer in the mid-1970’s. As you read Rabbi Youdovin’s comments, please remember to post here additional questions as well as your own take on the issues that he is raising. The World Zionist Congress: Why should Reform Jews be interested? The next World Zionist Congress will be held in October, 2015. More than 500 delegates from Israel and the Diaspora will gather in Jerusalem to discuss key issues confronting Israel, Zionism and world Jewry, and to determine allocations made by the World Zionist Organization, the WZC’s parent body. These decisions are determined by vote of the delegates, who reflect a wide diversity of ideological and religious perspectives. If you care about the Reform Movement in Israel, if you support egalitarian prayer, if you believe in freedom of religion, the right of Reform rabbis to conduct marriage, divorce, burial and conversion, if you believe that women should have equal status, here is your chance to make a difference. Your vote in determining who represents your region is your voice in determining what happens at the Congress. What are the origins of the World Zionist Congress? If you care about the Reform Movement in Israel, if you support egalitarian prayer, if you believe in freedom of religion, the right of Reform rabbis to conduct marriage, divorce, burial and conversion, if you believe that women should have equal status, here is your chance to make a difference. Join the ARZENU Reform Zionist group in your country and vote in the World Zionist Congress elections. This is the best way for you to directly influence and impact the future of the Reform Movement in Israel and of the Jewish people around the globe. What is the World Zionist Organization? Established in 1897, the World Zionist Organization (WZO) is often called the “Parliament of the Jewish people.” It was convened by Theodor Herzl in Basel and since its inception its goal was to unite the Jewish people and bring about the establishment of the Jewish state. The World Zionist Organization is a global organization supported by Keren Kayemeth LeIsrael (the Jewish National Fund), the Jewish Agency for Israel, Keren Hayesod (United Jewish Appeal) and the Government of Israel. International Zionist political parties which compete in elections for their representation, such as the Orthodox, Conservative, Reform (ARZENU), Reconstructionists, World Likud, Meretz, Shas, etc. Since the establishment of the State of Israel, Israeli political parties have been represented in the WZO based on their relative strength in the Israeli Knesset elections (Likud, Labor, Shas, Meretz, Israel Beiteinu, etc.). Every five years the WZO convenes a Congress whose representation is determined by democratic elections amongst the international Zionist political parties. Between congresses the Zionist General Council (the Vaad Hapoel) convenes annually for discussions on pressing matters on the agenda of the Jewish people. Participation in one election is effective for five full years! The next World Zionist Organization elections will be held worldwide in 2015. Israeli citizens are represented in the elections through political parties in Israel; world Jews are represented through international Zionist political parties to which they belong. Out of 30 countries represented in the WZO, the Reform Movement has constituent ARZENU organizations in 14 countries. ARZENU is the umbrella organization for all Reform Zionist organizations worldwide. Member organizations of ARZENU are: ARZA U.S., ARZA Canada, ARZA Australia, ARZA Netherlands, ARZENU South Africa, ARZENU Germany, ARZENU Spain, ARZENU Hungary, ARZENU Switzerland, ARZENU France, Pro Zion in Britain and Austria, Jason ARZENU Argentina, and Chazit Mitkademet in Brazil. Why are the elections important? As with the Israel Knesset elections, whoever wins the most votes receives the most important positions and control of budgets, and so it is with the World Zionist Congress elections. Today the Reform Movement in Israel receives allocations of $4.5 to $5 million per annum from the Jewish Agency, Keren Kaymeth LeIsrael (JNF) and Keren Hayesod. And how does this work? For example the WZO is a 50% owner of the Jewish Agency and therefore appoints 50% of the representatives to the Board of the Jewish Agency. Thus it can strongly impact who will be the chairman of the Agency or the agenda and priorities of the Agency. The same is applicable to the other organizations. In other words, the WZO plays an important role in making decisions on who is appointed to key positions in these organizations. Simply put: whoever has the largest number of representatives in Congress will set goals and have access to the centers of power and money. For example: On behalf of the Reform Movement in Israel ARZENU uses its power to impact the Jewish Agency budget allocation for religious streams: ARZENU tries to prevent or limit the size of budget cuts to the streams and has largely been successful. Following the last elections to the World Zionist Congress, ARZENU established a Joint Faction with the World Labor Zionist Movement and Meretz Olami (the political arms abroad of these Israeli Knesset parties). This Joint Faction allows us to influence the Knesset and Israeli society. For example, when we fought against the Rotem conversion law we cooperated with the above parties to influence the legislative process. Another recent example: At the Zionist General Council meetings held in early November 2013, the Joint Faction, spearheaded by ARZENU, was able to pass three resolutions calling on the Israeli government to implement the establishment of egalitarian prayer at the Wall, to pass a marriage and civil divorce law and to prosecute Israelis who incite racism. The bottom line – what can I do? Every member country in the WZO has an allocation of delegates based on the Jewish population of that country. For example, the U.S. has 145 delegates at the World Zionist Congress (out of 500 delegates in total). Every 5 years an election is held within each country to determine the composition of the delegates. If you participate in this process, and vote for your ARZENU constituent organization, you make an immediate difference to the future of the Reform Movement. At a date to be announced – probably towards the beginning of 2015 – all international Zionist political parties will go to the polls. According to the results obtained in these elections each Zionist political party will receive its allocation of delegates to the Congress. In the last elections, ARZA US gained 56 representatives (out of 145). The entire ARZENU political party received 83 delegates worldwide out of 500. By joining forces with its faction partners, ARZENU became the leader of the largest faction in the WZO with a combined total of 159 representatives. The goal this time is to increase our representation and in order to achieve this we need everyone who participated in the past to do so again and to encourage even more people to register and vote this time. Anyone who is Jewish, is over the age of 18 and who signs the “Jerusalem Program.” In addition representatives to the Congress must make a modest annual contribution to UJA/Keren Hayesod and to the JNF-KKL.